Biotin is a B vitamin involved in the conversion of food into energy. Found naturally in a number of foods, biotin is essential for the formation of fatty acids and blood sugar (also called glucose). Sometimes referred to as "vitamin H," biotin aids in the metabolism of carbohydrates, fats, and proteins as well. While most people get enough biotin from their diet, it is also made in the body by bacteria in the intestines. According to the Institute of Medicine, the daily adequate intake for adults 19 years of age and older is 30 mcg, which can usually be achieved through dietary consumption. Although biotin deficiency is believed to be uncommon, it may occur in people who drink alcohol excessively or consume a great deal of raw egg white (which contains a protein that blocks the absorption of biotin). A genetic disorder of biotin deficiency, inflammatory bowel disease, and medications such as carbamazepine and other anticonvulsants, antibiotics, or isotretinoin may also increase your need for biotin. Symptoms of biotin deficiency include thinning of the hair, a red scaly rash (especially around the eyes, nose, and mouth), depression, exhaustion, hallucinations, and tingling in the arms and legs. Proponents claim that getting more biotin can help regulate your blood sugar, promote hair growth (including eyebrow, eyelash, and beard growth), and strengthen nails. The supplement is also considered an important nutrient during pregnancy. Some supplement manufacturers also claim that biotin supplements can speed up metabolism and—in turn—promote weight loss. Some research suggests that people with consuming biotin in combination with chromium picolinate may be of some benefit to people with diabetes. For instance, a 2008 study from Diabetes/Metabolism Research and Reviews found that taking a chromium picolinate/biotin combination in addition to prescription anti-diabetic medication may help improve blood sugar control in overweight or obese people with type 2 diabetes. The study involved 447 diabetes patients, each of whom was assigned to receive either chromium picolinate with biotin or a placebo for 90 days (along with their diabetes medicine). By the study's end, those who'd taken the chromium picolinate/biotin showed a significantly greater improvement in blood sugar levels (compared to members of the placebo group). Additionally, a 2006 study from Diabetes Technology & Therapeutics found that four weeks of taking chromium picolinate with biotin (in combination with diabetes medicine) helped improve blood sugar levels in diabetes patients. Involving 43 people with poorly controlled diabetes, the study also found that the chromium picolinate/biotin supplements helped reduce cholesterol levels. Since both of these studies tested the use of biotin in combination with chromium picolinate, it's not known whether biotin alone might produce similar results. 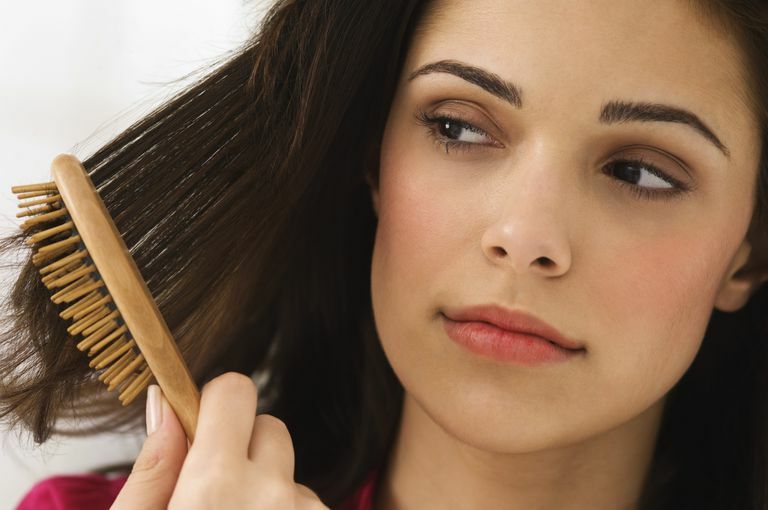 There is very little evidence to support the use of biotin for hair loss and brittle nails in people who do not have a biotin deficiency. Biotin supplements can cause certain side effects, such as skin rashes, digestive upset, problems with insulin release, acne, and kidney problems. According to one report, biotin treatment was said to interfere with laboratory tests and mimic Graves' disease. As with any supplement, the safety of long-term or high-dose use isn't understood. As with other supplements, biotin supplements haven't been tested for safety in pregnant women, nursing mothers, children, and those with medical conditions or who are taking medications. You can find out more about how to use supplements safely. To get your fill of biotin, make sure to include biotin-rich foods like brewer's yeast, nutritional yeast, liver, cauliflower, salmon, bananas, carrots, egg yolks, sardines, legumes, and mushrooms in your diet. If you have symptoms of a biotin deficiency or are considering taking biotin supplements, be sure to talk with your care provider before starting your supplement regimen. Albarracin CA, Fuqua BC, Evans JL, Goldfine ID. Chromium picolinate and biotin combination improves glucose metabolism in treated, uncontrolled overweight to obese patients with type 2 diabetes. Diabetes Metab Res Rev. 2008 Jan-Feb;24(1):41-51.